It’s Dancin’ Time, so put on your dancing shoes – or boots! 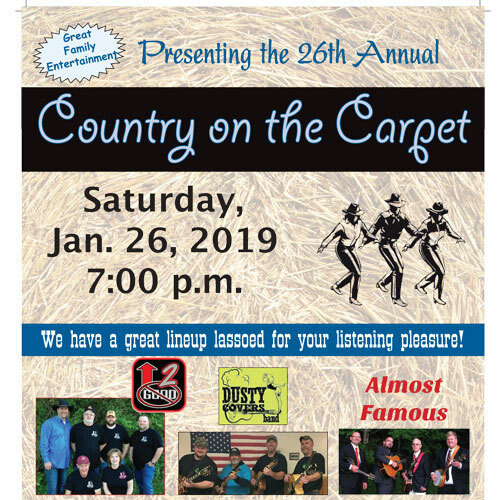 – for a night full of Country and Bluegrass music at the 26th anniversary presentation of Country on the Carpet at PLCC! Featuring Up 2 No Good; Dusty Covers; and Almost Famous! There’s a great lineup lassoed to celebrate, so join the fun. There will be line-dancing and a touch of Bluegrass!